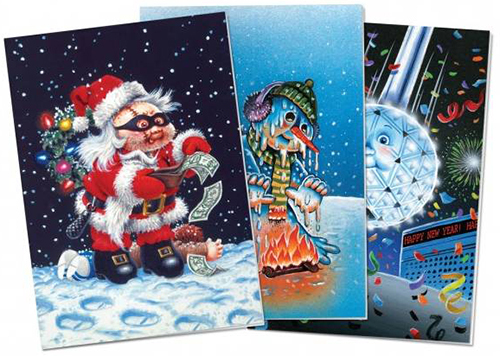 Whether you've been naughty or nice this year doesn't matter when it comes to 2013 Topps Garbage Pail Kids Holiday Greeting Cards. On the one hand, they offer glad tidings. On the other, they're gross, disgusting and delightful Garbage Pail Kids. 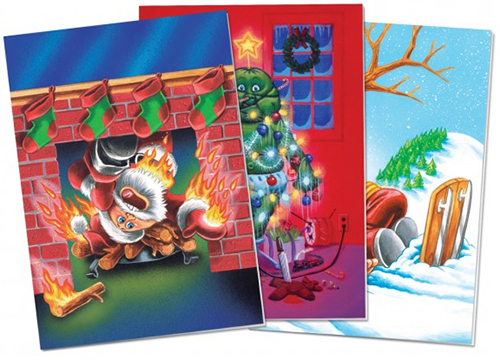 Offered as an online exclusive, 2013 Topps Garbage Pail Kids Holiday Greeting Cards come in two different packages. Each has ten card and custom envelopes to place them in. Sold as Box A and Box B, each comes with five different card designs. In classic Garbage Pail Kids form, these five cards come with two different names. 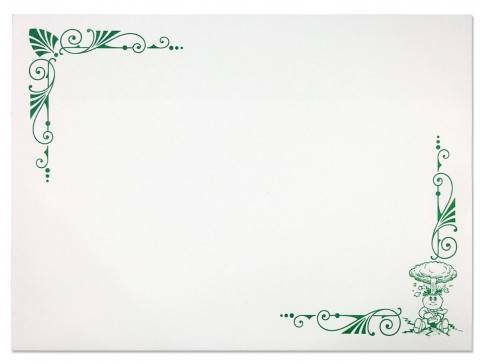 Much of the art comes from existing cards that have Christmas and specific holiday themes. However, there is one piece of new art in Box B for Snow Bill/Snowball's Chance. Garbage Pail Kids with collector case - 170 + cards!